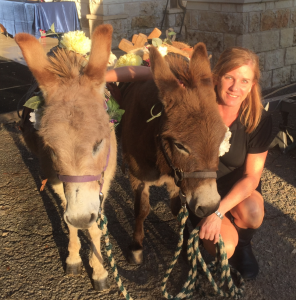 Amy can even get beer Donkeys where they need to be! This service is for Bride/Grooms who have done most of the pre-planning themselves. �The day of the wedding it is important to have someone there, an experienced coordinator, to make sure that everyone and everything is where they need to be. Amy Mullins has had over 20 years in the wedding/special event industry and knows what it takes to make the event run smooth. �You will meet prior to the event to plan out all the details (She doesn’t forget) for the day of and then you can trust that every detail will run smoothly.